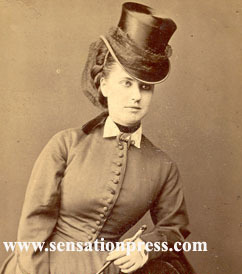 A photograph of Amy Fawsitt taken in about 1874. 2. 26 December 1876. 'Miss Amy Fawsitt, the actress, died of consumption, on the night of the 26th ult., in New York. The Herald states that she "breathed her last without a friend to comfort her in her dying hours, or to close her eyes in death."